In a factory's workshop in Ji'an County in east China's Jiangxi Province, an automatic curing machine is spraying UV glue on the components of Apple earbuds relayed along a conveyor belt. Four years ago, it was Zhao Bulan, a post-90s worker, that sprayed the glue with gloved hands. Now, she only needs to check the components on a routine basis. "It's certainly a lot better to work with these robots [machines]," said Zhao who works for a factory affiliated with Luxshare Precision company, a Guangdong-based supplier of Apple's earbuds, "although UV glue is a green product, it has a pungent smell and workers might be allergic to it." Four years ago, a production line required four workers, capable of producing 1,000 pieces per hour. Now, the number can reach 1,200 pieces with half the staffing, said Jiang Rui, who works with the robotics branch of Luxshare Precision. The factory in Ji'an County introduced over 30 glue-spraying machines, one of the many tailored-made robots developed by the robotics branch of Luxshare Precision for intelligent manufacturing. 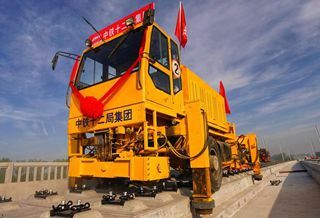 "A glue-spraying machine costs over 100,000 yuan while the previous labor costs were more than two times the cost of the machine," Jiang said. "Moreover, the quality of products is consistent, and workers are protected from being exposed to the glue." In 2014, Luxshare started a robotics R&D project in Ji'an County with over 50 researchers and an annual research budget of more than 3 million yuan. The project now has nearly 100 high-precision machining equipment and over 100 automated machines are developed each year. "Nearly 80 percent of the robotic devices are designed for labor-intensive fields that may pose health risks to workers," Jiang said. "Such intelligent upgrading enables us to protect workers from occupational diseases." Steps away from the glue-spraying machine in the workshop, an auto scanner is working on another production line to read the data stored in the QR codes of the products. A few years ago, the scanning was conducted by workers with operating rods. Eight hours of exposure to infrared lights caused discomfort to their eyes. As a result, it was not easy to secure a stable influx of workers for such jobs. "Nowadays, on average, each worker is required to have a two-week training," said Chen Xuemei, production manager of the Ji'an branch of Luxshare Precision. "A highly automated factory helps workers learn skills quicker. To meet Apple's requirements, a production line solely relying on manual work used to require over 900 workers, but now we only need 600 workers with the help of machines." The Ji'an branch now owns two production lines for Apple's Bluetooth headsets, with a monthly output of 400,000. Later this year, four more lines will be put into use. "Machines are not taking the jobs away. Instead, we are considering recruiting more to operate the increasing number of machines," Chen added. "Robotic equipment help enterprises stabilize employment. Fewer workers are needed for an automated production line, but the growing lines require more skilled workers," said Liu Shaohua, deputy director of the management committee of Ji'an high-tech development zone. According to data released by Luxshare, the company has produced over half of the total output of Apple's high-end Bluetooth headsets since 2005. It hired nearly 10,000 workers in Jiangxi Province in 2010, and the number grew to 16,000 by the end of last year.